I have decided to offer a tell-all of the story behind Runaway Smile on my blog. This is done for two reasons: first, I want to thank all the people who made it possible, especially Dimitris Fousekis and George Vasdekis. Second, I want to inspire any authors who are looking for a way to get published without surrendering all rights to their hard work, but for whatever reason are not interested in self-publishing. The Runaway Smile started out as a silly poem that I was playing with in my head (you can read the final version of it at the end of the book). One day, back in 2012, I was having my childhood friend, Dimitris Fousekis, over for lunch. He’s a professional illustrator and liked the poem so much, that he suggested we turn it into a children’s book. This was before I decided to become an author, and Pearseus had not been written yet, so I was intrigued by the idea. Author and illustrator meeting. Part of the process is going through the book, looking for possible images to be illustrated. Obviously, all gags have to be approved by our pets (and you were probably wondering why there are so many animals in my books…). We decided against self-publishing, as there’s no Greek Amazon, and Indie publishing still has to take off over here. So, we approached Patakis, the largest Greek publisher. Dimitris had illustrated books for them in the past, so setting up a meeting was not a problem. At first, we wanted to do a traditional children’s book (full-colour spread with a couple of verses on each page). However, Helena Patakis suggested we do it instead in the form of Frightfully Friendly Ghosties. The text would be around 5,000 words long, and be peppered with monochromatic illustrations. 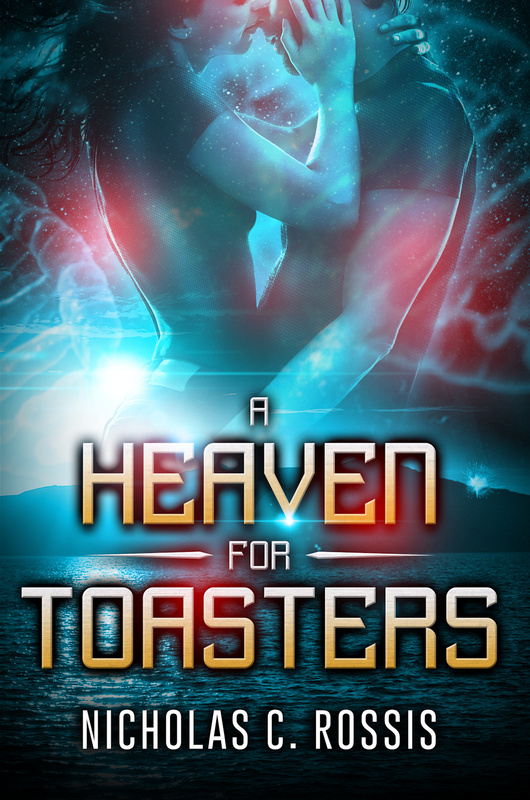 This would both keep the printing costs down and allow us to turn the book into a series. Once we had the story, we approached Patakis again. When I saw a contract, I was disappointed. I would get 10% of the profit – but the real problem was that I would no longer own anything. All rights would be theirs. We had the right to use only one (!) illustration for promotional purposes, and they would keep the rights to publish abroad as well. In other words, I needed their permission to publish the English version, and even if they gave it, they would still keep most of the profits. While Dimitris focused on the illustrations, it was time to explore other options. I had self-published Pearseus by then, so had a much better understanding of the publishing industry. A friend kindly introduced me to George Vasdekis, third generation owner of Diptycho, a century-old, prestigious publishing house, famous for its excellent children’s books and magazines. George was intrigued by the book and my author platform. We started discussing terms. He offered me a deal that was similar to Patakis’, only with more freedom for me. As for an advance payment, his very valid point was that he’d have to cover illustration, design, printing, marketing etc. In a tumbling publishing market, a first-time author should not expect an advance payment on top of that. I got his point, so I made him a counter-offer: I would keep all rights and most of the profits, and he would exclusively handle distribution and promotion. In exchange, I would cover the illustration, design and publishing costs. George accepted and referred me to Lyhnia, their printers (that’s the place you see in my post, Hold the Press). The total cost for producing 1,000 copies, including design, printing etc, was a little over 1,600 euros ($1,900). It would have been lower, around 1,300 euros, but we decided we wanted to use UV printing for the cover and do a really nice job, instead of a more economic one. 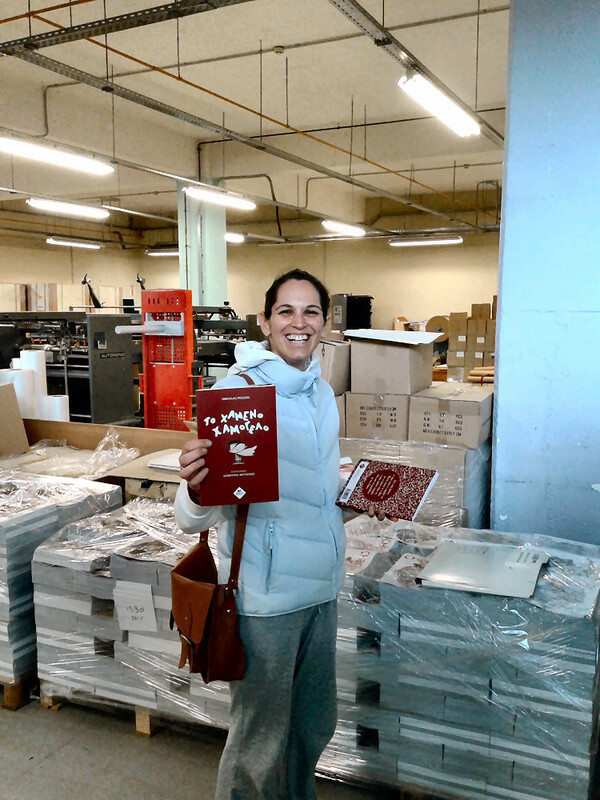 Ecstatic Electra holds the very first copy of Runaway Smile, in all its crimson glory! Thankfully, Dimitris was happy not only to cover half of the costs, but also not take a penny for his work, in exchange for half the profits. He, too, got to keep the copyright to his illustrations, agreeing to let me use them in any way I wish for promotional purposes. Sadly, it took him much longer to complete the illustrations than anticipated, and the book was only published in December, after over two years in the making. As for the moral of this whole story, I think it’s important to remember that the publishing model is changing on a daily basis. New collaborative paradigms between authors and publishers are emerging, as my example and the 33rd Street Press show. It is important not to get hang up on obsolete models, believing we can’t change things. There are now more ways of getting our work to readers than at any other time in history. All it takes is a bit of experimentation and a lot of perseverance! Don’t forget that you can read Runaway Smile for free on my blog. If you like it, please review! 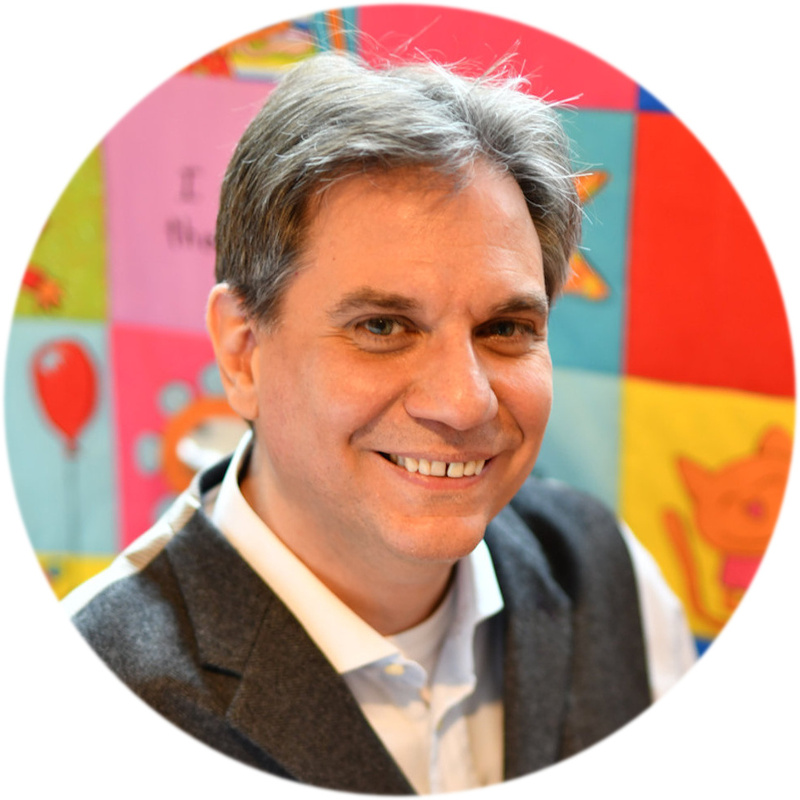 Nicholas C. Rossis, author of Runaway Smile and the Pearseus series, has openly shared how he was able to negotiate with a publisher to retain rights to his children’s book Runaway Smile. It’s both a cautionary tale about reading the fine print before signing up with a publisher, and a story of hope for the future of relationships between authors and publishers. If you are considering going with a traditional publisher rather than self-publishing, you need to read this insightful article first! Brilliantly useful information here, Nicholas, and can’t wait for the progress updates. The book looks fantastic, such a beautiful job. We hear so much about writing journeys and so very little about publishing, which is becoming the most important and time consuming part… promise you’ll let us know how it’s panning out as time goes on? I always share what I find out, so absolutely, I’ll let you know! Thinking of all the lovely data to come now you’ve promised! Ooh, we should get together on that. I have compiled some paid ad data you will find very interesting. Would you mind terribly dropping me a line through the contact form? Not at all! Sounds scrumptious. I do love the numbers… Will be on to you a bit later. Great post! That you wrote the book on a single Saturday morning blew me away. And, as a poetry lover, I was especially happy to read that your “silly” poem was the inspiration! Oh, I loved this post! And loved how the animals wanted to be involved and to “approve the gags”. When I first published in 2002, my only option (after 75 rejections from tra pub) was to order boxes upon boxes of my book, to the tune of $5,000, and then ship them to Amazon each time someone ordered it. It was time consuming, expensive, and annoying to store all those boxes in my house! I’m so glad times have changed, and that we now have so many more options. 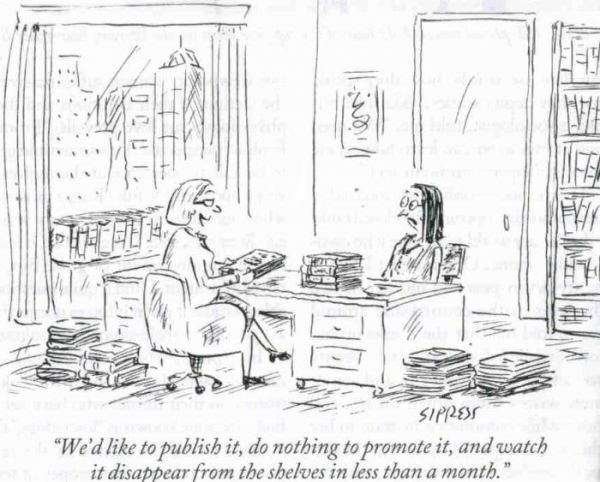 Publishing-on-demand is one of the greatest inventions ever. Congratulations on your wonderful book(s)! I can’t wait to read the next! Enjoyed reading this. Reblogged on BookChat. My review will be coming soon. (Sorry, but I am really behind this month). Fascinating story from Nicholas C. Rossis on taking his book RUNAWAY SMILE to publishing. Sorry I’m a day late… Anyway, good for you. I had full requests from a few publishers who wanted world rights. Needless to say, I never sent the manuscript because they weren’t wiling to bend on this. Lots of authors get stuck because they don’t read the fine print. And then, it’s very difficult to get out of it. Like with anything else, you have to become knowledgeable in the areas you’re working in or hire someone who can read the contracts for you and advise. LOVE the pic of the very first copy. That’s got to be a great feeling! You’re absolutely right. As you pointed out a couple of days ago, authors can easily get too excited with being discovered, at the expense of their future profits and freedom. I hope it does fantastically well for you Nicholas. What an inspiring post. Innovation is where it is these day. Congrats on sticking it out. Thank you so much! So it does, doesn’t it? Nicholas, Thanks for sharing this story. Stories like these, about the process of creating and publishing a book, are why I was interested in blogging in the first place. It’s awesome to see how a thought can spark an entire process that leads to a simple, but amazing finished product. My sister purchased the book for her son Rylee not too long ago and they’ve been reading it chapter by chapter each night. When they finish, I’ll be more than happy to review it with Rylee’s interactions in mind. So far, he’s enjoying it. It’s such a neat fantastical work, which is right up my nephew’s alley. I just love this post… it’s amazing what can develop from a single seed of thought, and with care and devotion can grow into ones dreams they didn’t know they had.. I’m so happy for you and your crimson book .. This is great info for new writers who probably don’t realize that there is room for negotiation in contracts. Often the delight in finding a publisher, results in accepting a contract without reading the fine print. Great origin story. 😉 I think the holding of rights is one of the big things that’s changing today. Not just for the physical book, but digital and movie too. I remember hearing a lot of stories from authors who signed on with a publisher, their books didn’t sell, and they were dropped. Then they found that they didn’t have rights to their books for 5 years. The publishing company would just hold onto them until the time passed, which always struck me as pointless. Now many authors are fighting to retain as many of their rights as possible, especially the digital side. I’m curious to see how this keeps going since we’re still seeing the landscape change. I agree, the need to keep one’s rights is one of the biggest forces behind Indie publishing. It’s an endless struggle in some ways. Especially those digital rights. It is great to learn about more publishing options. I wonder what I am gonna choose as soon as I am done with my new manuscript. Really interesting to read this Nick. I have also looked into printing and distribution of my books. I got a good deal, too, but its not actually the printing of the book which is the costly part… its the distribution, plus I didnt have the backing of a well known and respected publisher, so retailers were unwilling to take much of a risk on an unknown. In the end I decided not to go ahead. It was a full time job, and I couldnt manage that and further writing and my family, it was just too much. But I think we’re going to see more and more of these hybrid publishing deals in the future. Well done you, for being a fore-runner of this new way of thinking, and thanks for inspiring us with your story. And best of luck with Runaway Smile! Thanks, Ali! I agree completely that we’ll see a lot of new models emerge in the near future. The old ones are crumbling all around us, and publishers have to either adapt or perish. I genuinely feel for them, as I know first-hand how hard it is to change an operational model that’s worked successfully for years. It is my hope, though, that all the changes will lead to better profits for both authors and publishers in the end. Not forgetting the reader, too. I’m thinking it will work out better for them too, as I think Indies are far closer to their readers than anyone working in the tradtional capacity. Incredible idea – I know your style is highly appreciated in Europe and Middle East!! !